A total of 110,778 people were dismissed from state institutions while 3,604 of them were later reinstated to their jobs, with post-coup emergency decrees, according to Deputy Prime Minister Bekir Bozdag. 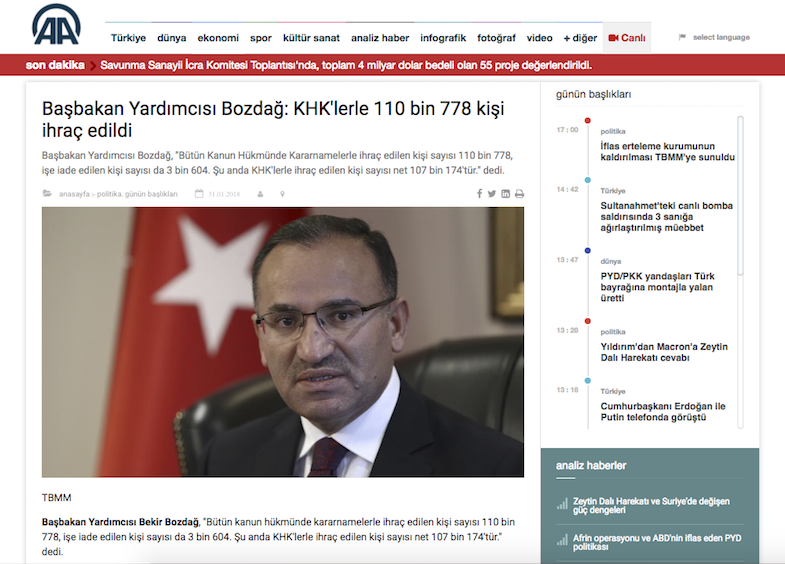 The number of people who have lost their state jobs with emergency decrees stands at 107,174 after reinstatements, Bozdag told a parliamentary gathering Wednesday. Turkey survived a military coup attempt on July 15, 2016 that killed 249 people and wounded more than a thousand others. The government declared a State of Emergency days after the failed putsch and have issued 31 decrees since then. In addition to dismissals with post-coup decrees, thousands of teachers as well as academics have lost their jobs either due to closure of their universities and schools or because the government cancelled their educator licenses. Meanwhile, more than 190 news outlets were shutters leaving many others jobless in the aftermath of July 15, 2016.